As I said in my last post, the stag do could make a whole post in and of itself. In fact, now that I have been through the many a voluminous pictures that emerged, it's going to make three. Basically, the best man organising the stag, Greg, knows how much I like food. He also clearly likes me enough to make it a good stag, rather than one of these horrific booze-and-strippers events in Ashford. So that was a relief. I was given my marching orders: London Bridge at 9.45 am. For what I did not know. 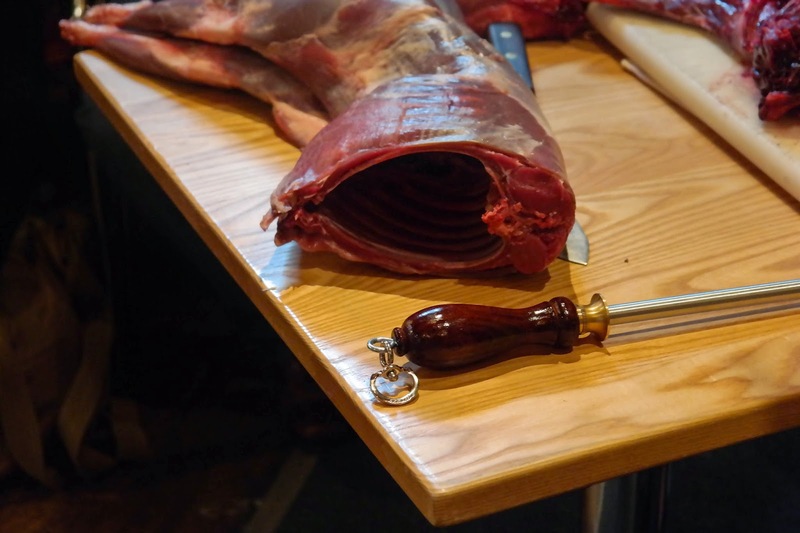 So, with not just a little foreboding, I made my way towards Borough Market where I was greeted by a gang of my closest mates and a dude with a lot of very big and sharp knives. 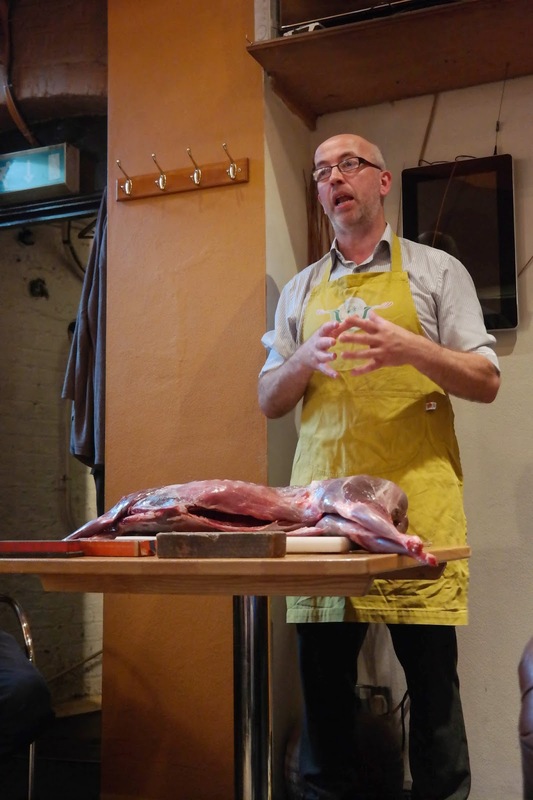 Fortunately, this man was Andrew "Farmer" Sharp, and he was to teach us a thing or two about butchery. 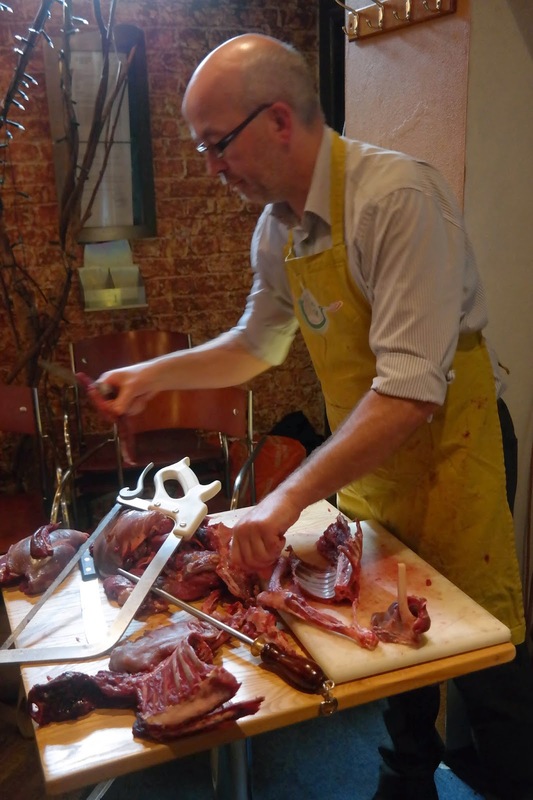 The unfortunate victim of the day was a muntjac, a kind of small deer that is widely considered to be a pest on Britain's shores. Having kicked off his career as a butcher from the tender age of 13, Farmer Sharp (who, it turns out, is no farmer – the name was appointed to him by a long standing customer who assumed that, wearing a flat cap and selling meat, he simply must be a farmer) knows what he's talking about – both in terms of the meat and the butchery. 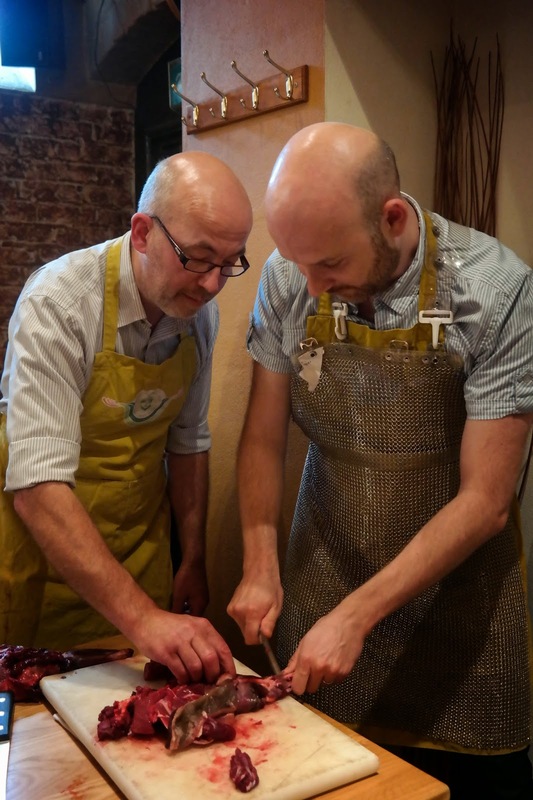 After a brief lesson about knives – what's best to buy, how to sharpen blades and general knife care, we set about the beast with reckless abandon. Actually, that's not quite true. We set about the beast under careful and considered tuition. All accompanied by Farmer Sharp's biting and sometimes brutal (but always well earned) humour. 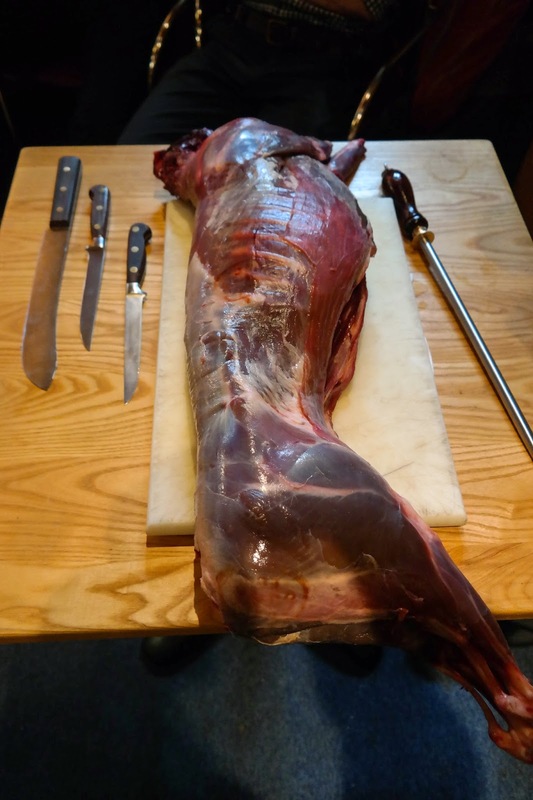 At the end, when we'd all taken a turn in carving away – and very well done to him for making sure that the butchery was evenly spread amongst all 20 of us chaps – Farmer Sharp set about cleaning and tidying up our hacked about efforts, and finishing off the parts we hadn't done. 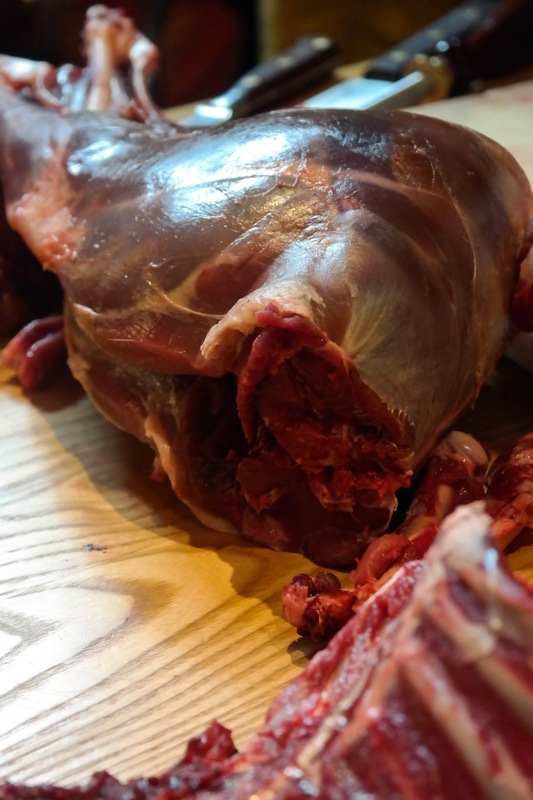 It was a wonder to behold – his working over of the final parts of the carcass was like watching a dance, so fluid and swift and precise were his movements. The service Farmer Sharp offers is fantastic. He's great with a bunch of lads for a stag do (although, clearly, one has to lay off the drink until after you've finished mucking about with the knives – if you don’t have that kind of restraint, why not go paintballing instead, eh?). He's funny, a good teacher and a very easy going person, which makes him great for these kind of informal but informative sessions. 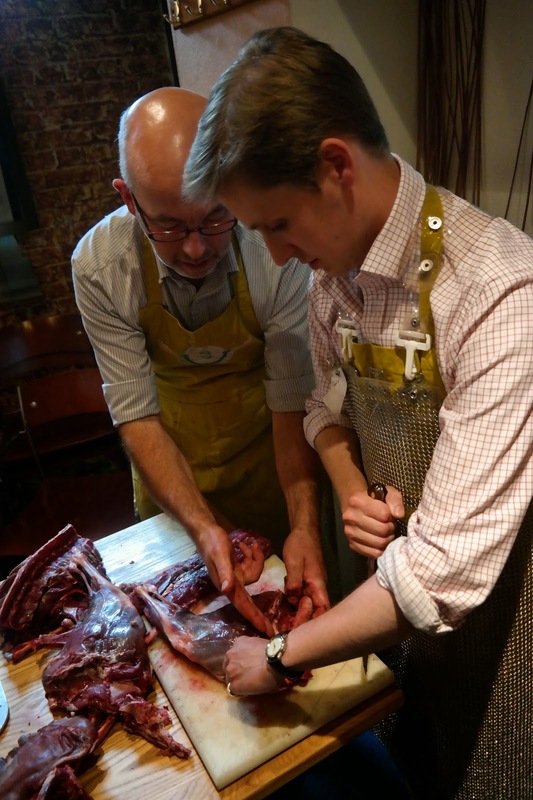 He's keen to kick off a new strand to his butchery class business by running corporate social events, which I think would be a fantastic thing to do and very different to the usual dross you get at those sorts of do's. All the best to him, I say. 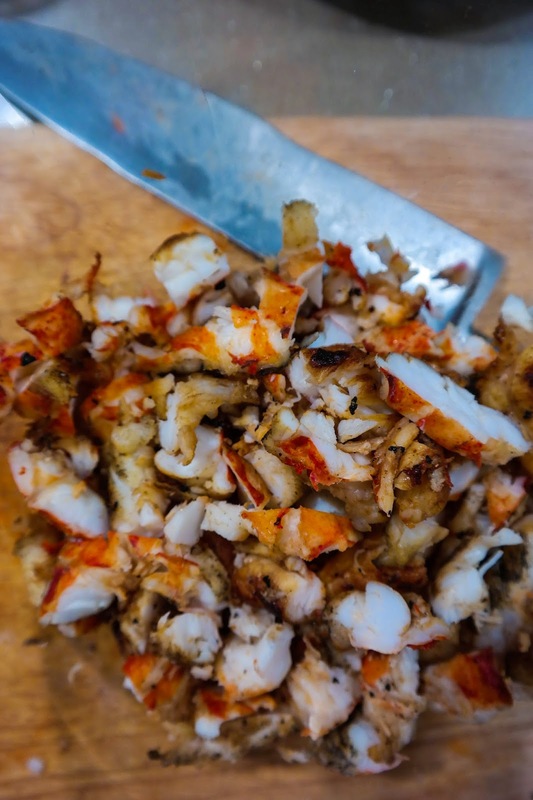 There's not really any particular magic to these – they're simple for a reason, lobster just tastes so damn good that you don’t need to do much to make a good lobster roll. Basically, this started out as ideas for catering for a big poker game I was hosting. I wanted something light and easy that could be served up whilst we played cards and which fitted the Americana theme that all poker games seem to have. 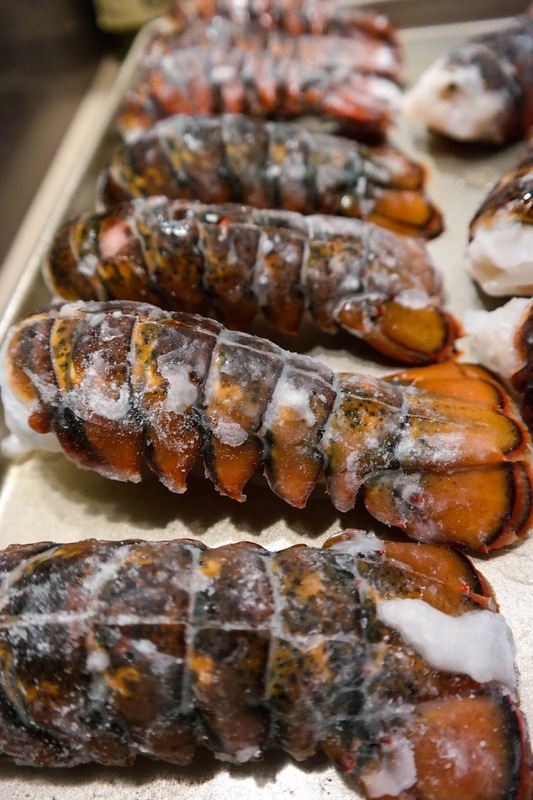 It just so happened that frozen lobster tails were on offer at Waitrose which meant that, whilst they were still far from cheap, you could get them at a reasonable price for what they are. As you can see, they are simple beautiful creatures. It seems a shame to eat them. Until you do, then you realise that they taste amazeballs. Also, they go a pretty good colour in cooking too, so it's not all wasted, yeah? The only complex thing is cooking the tails. 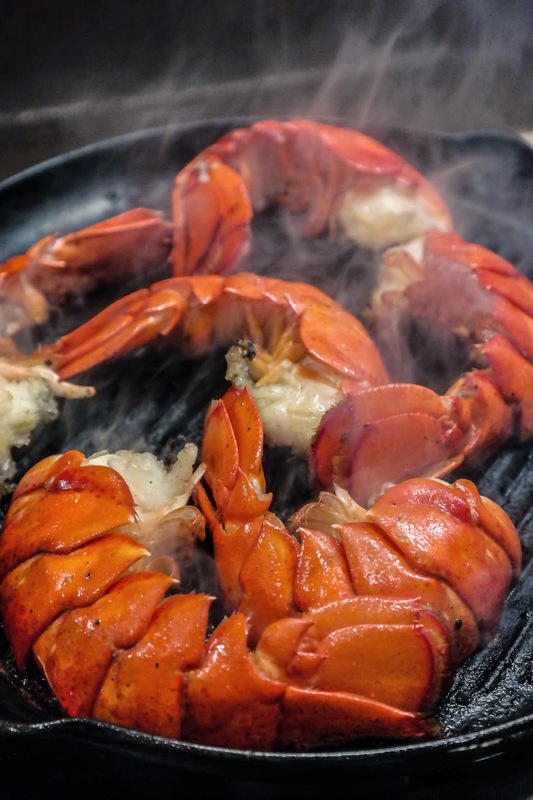 You can steam them as they are, or you can grill / griddle them. I went for the latter. I know I haven't given amounts here, and I'm sure that's unhelpful. Sorry. But, you see, the thing is I can’t say how much you'll need because it's kinda dependent on how many rolls you're doing. It's all quite fluid anyway, so I wouldn’t worry too much. 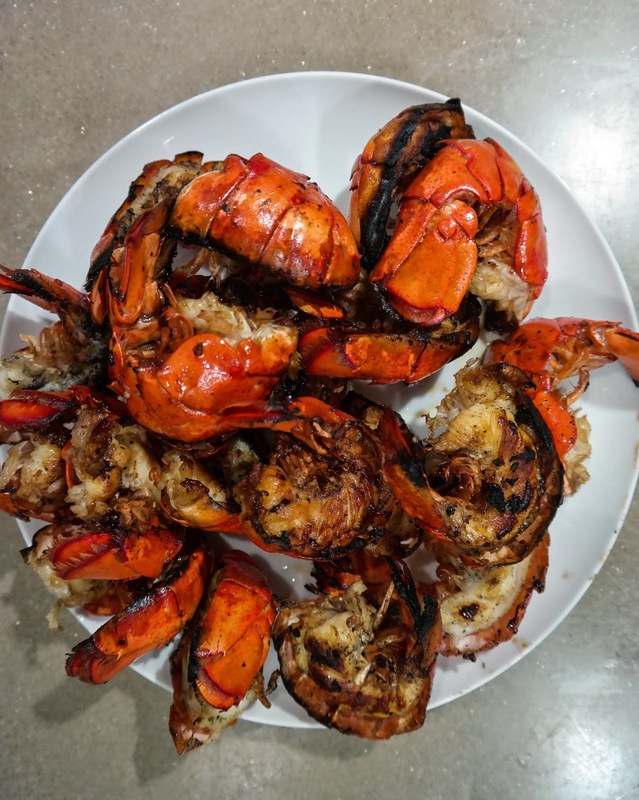 Right, first things first: cook the lobster tails. If you're steaming, then look up how to do it in a book, and let me know how you get on. If you're grilling, or griddling as I did, then they need to be split down the middle. 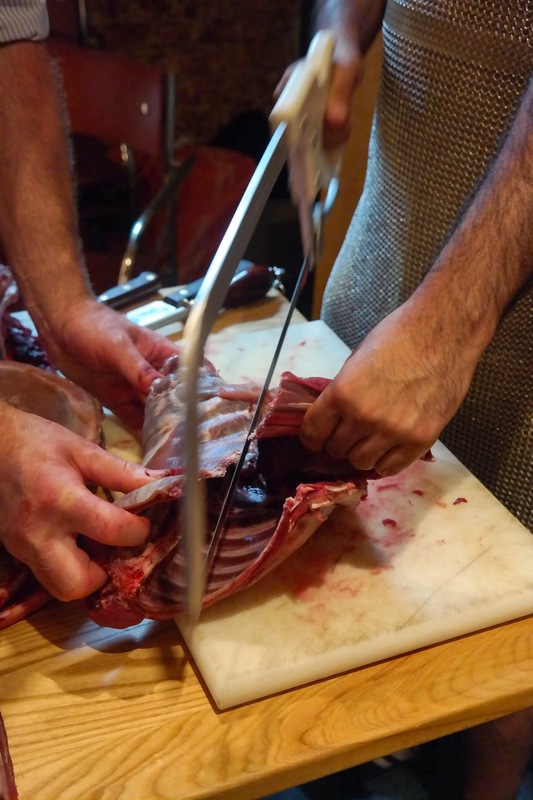 Do this with a full-size, heavy cook's knife. You also need to get the griddle pan onto the heat ASAP, as it needs to be screaming hot. 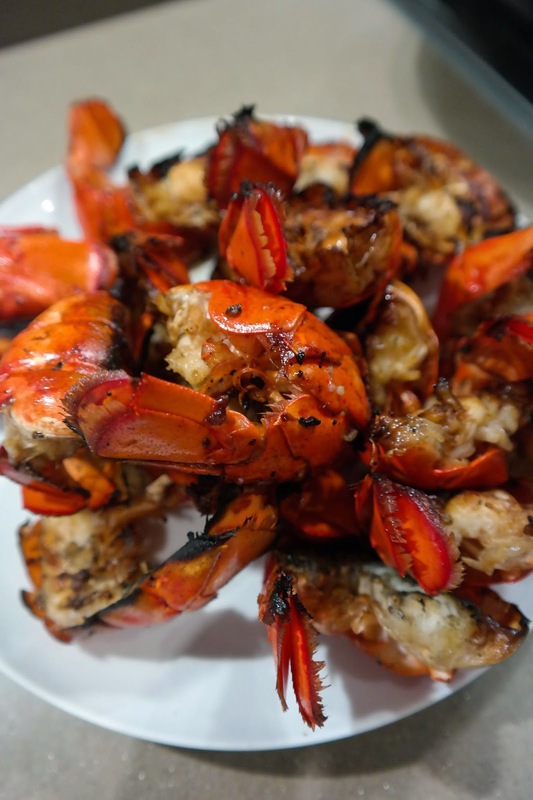 Crush a clove of garlic into a bowl and mix it into a good lump of butter, so that you have something nice to grill the lobster tails with. 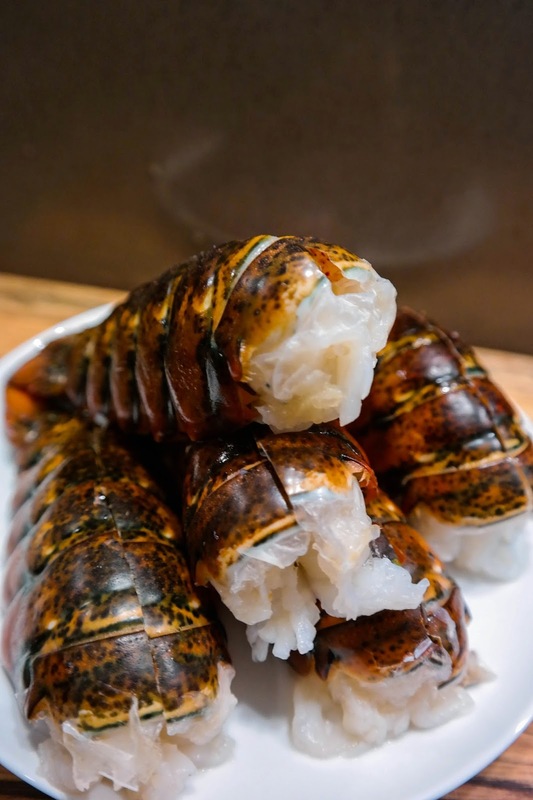 Brush the butter onto the open side of the split lobster tail before placing it flesh-side down onto the griddle. Give it a few minutes – they'll curl up and go a bright pink. 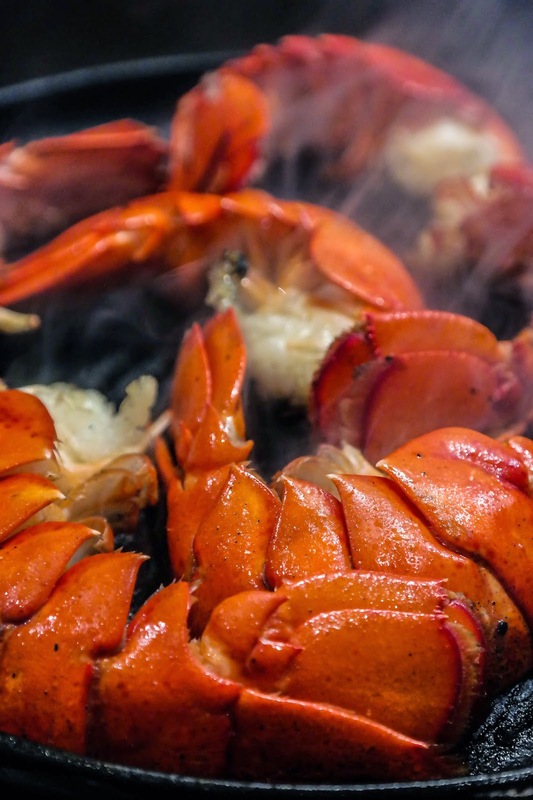 Flip them over to grill them shell-side down. 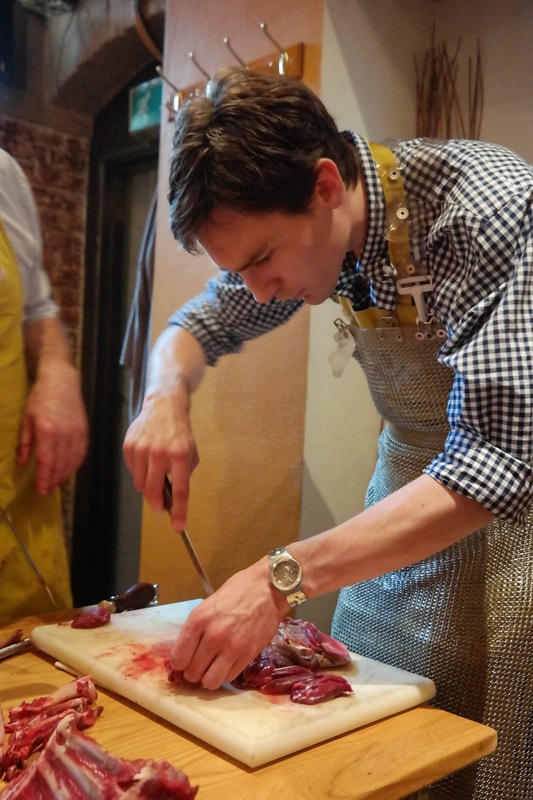 As you do so, brush a bit more garlic butter on the meat – it'll dribble down and infuse the meat beautifully. By the way, I strongly recommend you do this is a well-ventilated kitchen with the extractor fan on full power. These guys are going to create a lot of smoke. When they're done – a bright orangey-pink all over – taken them off the heat and leave them to cool right down. 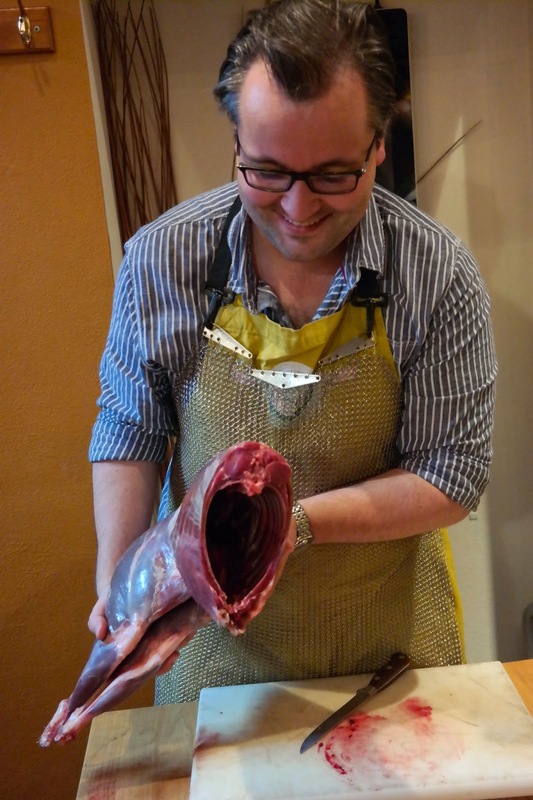 You should find that the tail meat comes out of the shells pretty easily. Roughly chop the meat into nice big lumps, about the size you think would fit well in your finished roll. In a mixing bowl, add a tablespoon or so of mayonnaise - depending on how many you're doing, of course! You just want the mayo to very lightly cover and bind the meat when it's all mixed up. Season and squeeze in a quarter of the lemon. Mix it all up, taste and add more mayo / lemon / seasoning to your own personal taste. In some parts of New England (from whence these puppies hail) they add a little lettuce – this is the stage to do so, if you like. 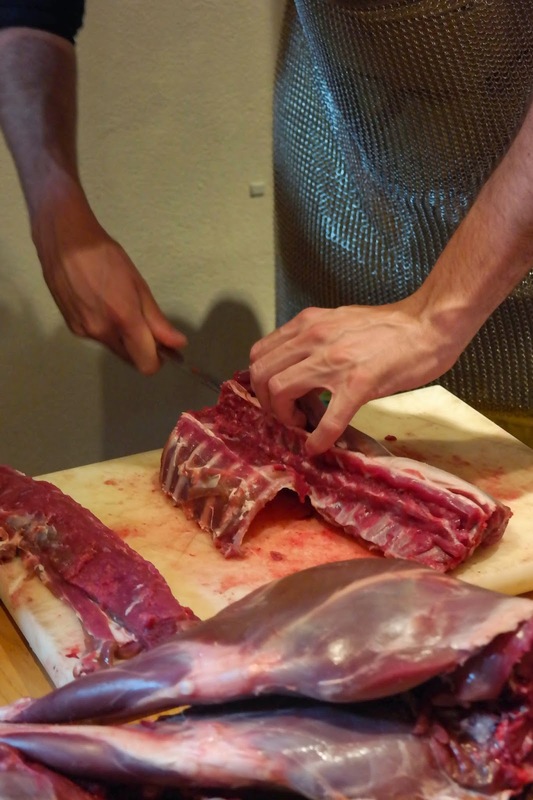 Slice up a baby gem heart horizontally into very fine ribbons and mix in with the meat. Toast the brioche rolls. This can be done in the toaster or, if you've grilled them, under the grill or on the griddle pan. 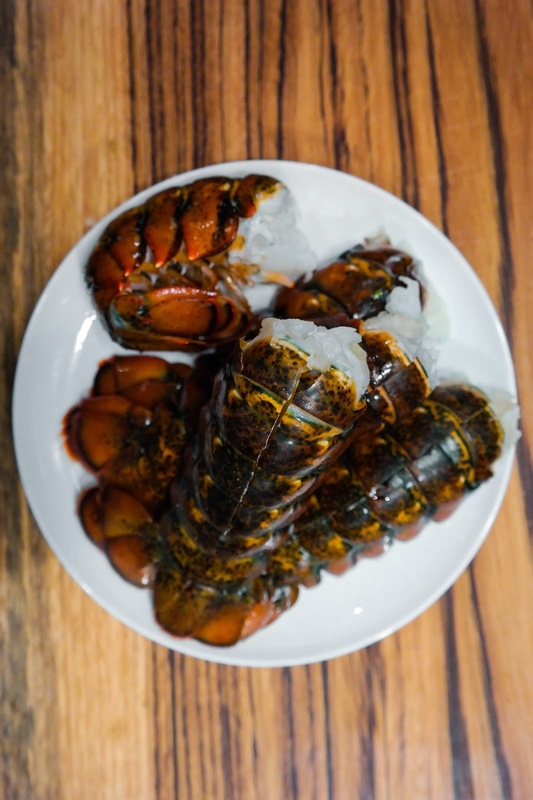 Toasting the brioche will bring out all of the rich, sweet flavours that complement the lobster meat so well, so please don’t skip this step. Doing so on a high heat (such as on the griddle pan) will leave little burn marks that only further enhance the flavour. 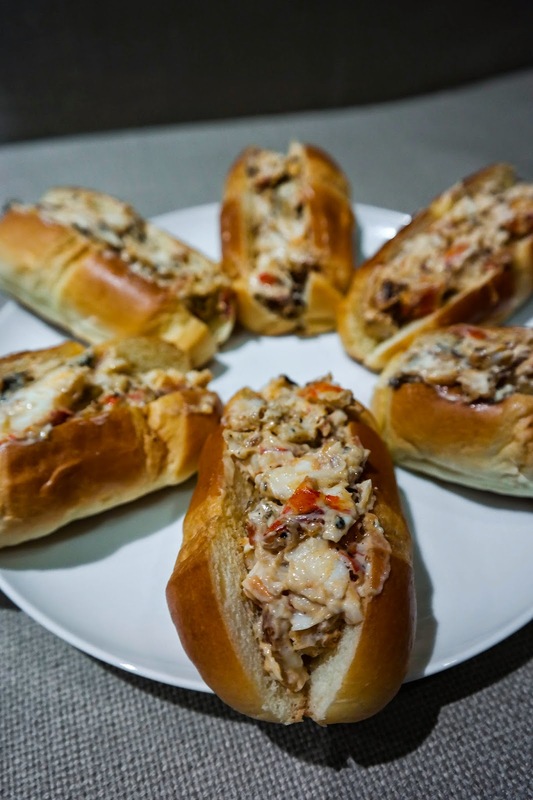 Give the rolls a smear of butter then stuff as much lobster in there as you can. Eat vociferously.